The theme for this week is Fun with my Friends. 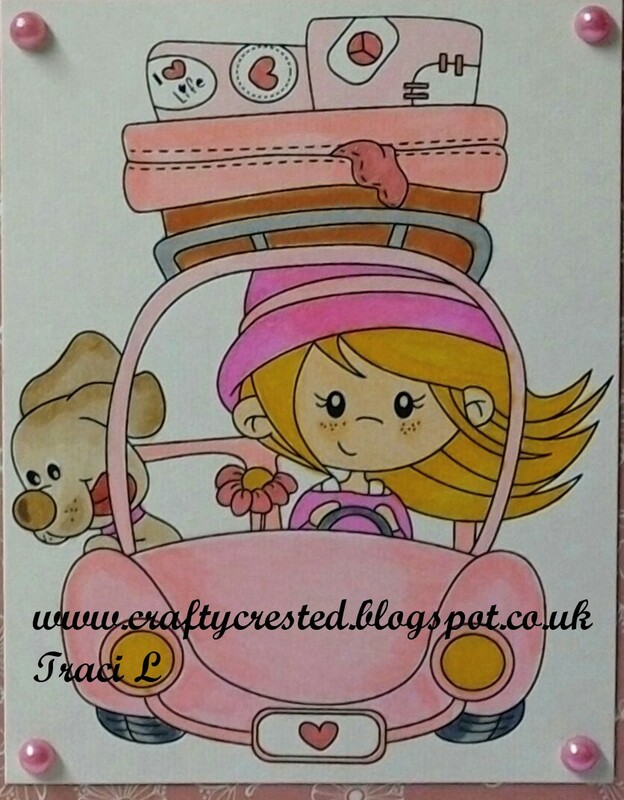 Super cute card, a really fab image. Thank you for sharing your work with all of us at Crafty Boots Challenges. 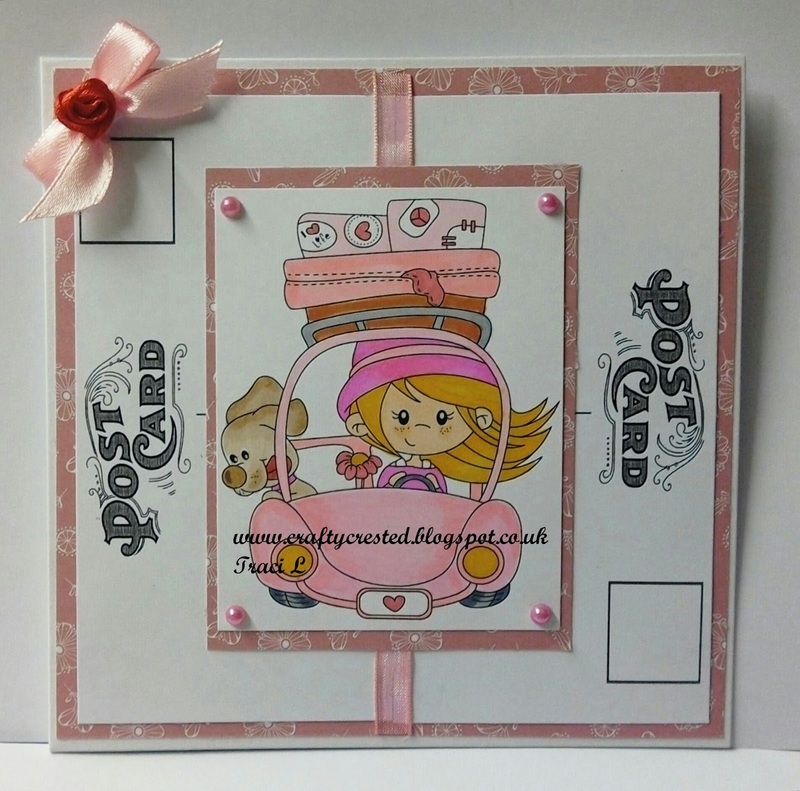 Cute and fun card, love the postcard theme! Thanks for joining us at Fab n Funky this week. Lovely card, super image and colours. Thanks for sharing with us at Fab'n'Funky this week. 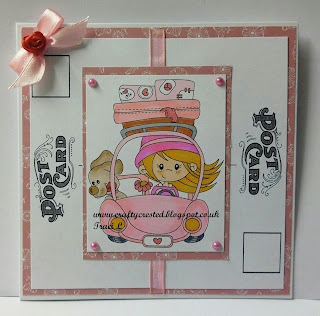 Adorable card & beautifully colored & designed! 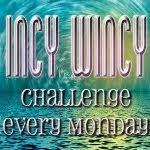 I'm so happy you could join us for the QKR Stampede weekly challenge! Gorgeous card. Loving your image and so beautifully coloured. Thank you for joining us at Crafting from the Heart challenge. Thanks for joining us over at Lil Patch of Crafty Friends. 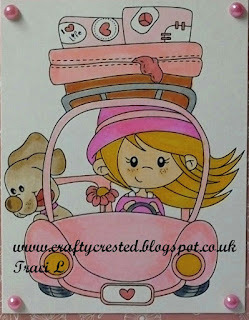 Very cute card and I love the colours you used and your postcards too. Thank you for joining in the In The Pink Challenge this time. Hope to see you again soon. A great card - thanks for joining us at the Sparkles Challenge.